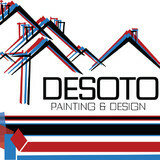 Desoto Painting & Design LLC is a privately owned Company. Owner, Joel Gomez a Professional Custom Painter with 20 years experience serving all of Central Oregon. Joel has not only mastered all aspects of Painting he also Specializes in Cabinet & Deck Refinishing as well. Primarily, a Custom Painting business we go much further and really enjoy a good challenge in the craft of design. Nicole Fontana has always loved to paint. She attended Pratt Institute in Brooklyn, NY on a President’s scholarship. She had the opportunity to live abroad for a summer in Venice, Italy, studying painting and art history. She graduated in 2005, on the President’s list, with a B.F.A. in Art and Design Education, with two minors: one in Art History, and a second in Painting. After graduation, she started her own company, Fontana Painting, LLC in her home town of Las Vegas, NV. Award winning residential and commercial repaint company serving Central Oregon. Skilled divisions in Painting, Carpentry, Decks, and Drywall Patching. Our team is focused on your satisfaction and works tirelessly to ensure a smooth, easy, and thorough process from start to finish. We strive to be the very best in the business at everything that we do - seriously. Named Bend, Oregon "Large Business of the Year" in 2015, we're serious about customer service and supporting our community. We specialize in what we call "lasting repaints." A repaint is every paint job after the first and it typically requires a lot of prep including sanding, resealing around windows and other areas, priming, and thorough masking and covering of landscaping and areas not to be painted. We do everything we can to your home to make the paint job last as long as possible. Our Deck Division focuses solely on refinishing and maintaining decks in Central Oregon. Our dust-free sanding equipment is sure to impress. Once refinished, we can maintain your deck annually at a fraction of the cost. Our Drywall Division specializes in expert patching and texture matching. Residential or commercial we can patch and repair any drywall problem you're facing. Our Carpentry Division can build you a deck, reside your home, replace worn trim boards, install new trim within your home like crown molding, or all the above! By working with a single contractor for your home repairs prior to painting we can coordinate the schedule and ensure everything meets our seriously great standards! Rise Painting is dedicated to bring quality painting services to the Central Orregon market including Bend, Redmond, Sisters and the surrounding area. Our crews take special care of your property and give you peace of mind while we work. We are courteous, mindful, and always work with a smile. American Painting is a full-service painting contractor and pre-finishing company. We have been serving Central Oregon for over 25 years. 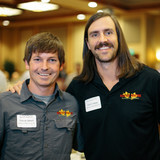 The owners “Rob and Janna Conard” were both born and raised in Bend. Our team of professionals take great pride in their work, and with over 16 years of experience we know the right coatings for the any application in the coatings industry. Once somebody uses our services they realize we aren’t the typical painting company and are pleased to use our services on other projects they have. I invite you to use our services and see for yourself what the difference is between American Painting and our competitors. Paint Pros Central Oregon main focus is Customer Service, we want to provide complete customer satisfaction in all areas of the project and that starts before the project even begins . We work with the paint companies to bring down the cost of material and pass that savings on the homeowner. We provide Free Estimates where we will come out to your home and provide your with a detailed quote of all the work being completed. We do not have any hidden cost, everything is black and white and you will know exactly what your costs will be. Within the detailed quote we will describe not only the areas that will be painted and the process that will go along with it but we will also provide accurate start and completion dates and any additional details pertaining to the work being completed. After we provide you with the estimate and you decide to hire our company will have you sign a formal contract so everything is in writing. We are always available by phone or email to answer any of your questions you may have during this time. We make it as seamless as possible for the customer so the process is completely understood. After you hire Paint Pros Central Oregon we will then schedule the project, when we schedule we provide you with accurate start and completion dates as well as the times of day you can except the work to be completed. Hi, My name is Greg Price. 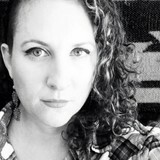 I have lived, worked and played in Central Oregon since 1990. I graduated from the University of Oregon with a BS in Business, where I worked my way through college painting houses. I left the painting business to follow another love of my life, fly fishing. 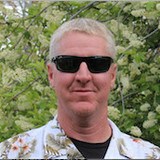 I was a fishing guide in Alaska for 4 years until I started a fly shop and guide service in Bend in 1990. My friend and I started a painting business 3 years ago called Price & Sitz Painting ( Yeah we didn't like the name either). We changed the name of the business last year to Tightline Quality Painting, and yes there is a fly fishing reference in there. I hope we get the opportunity to paint your home, rental or vacation rental. Our painting contractors at Advanced Painting are all certified professionals. That means we can help you with every facet of making your home beautiful. We facilitate all types of painting restoration, whether it's painting the inside or outside of your home or historical home restoration painting in Bend and Central Oregon. We have many years of painting experience. Our goal is for every customer to be completely satisfied with all the work done. Every job is completed with care to assure 100% customer satisfaction. Rise Painting specializes in Cabinet Refinishing and Interior Painting. We provide an exceptional experience for our customers through effective communication, neat and tidy work spaces, and staying on-time and on-budget. Steve Schneringer is the proud owner of The S & S Painting Company, LLC. Steve has been involved in painting and construction for over 30 years. He has owned The S & S Painting Company, LLC for over 20 years. The S & S Crew is made up of experienced professionals. They have been trained by Steve in the latest painting techniques and materials. Our Crew is reliable and clean. We use only the highest quality paint and products available. We listen to our customers needs and consistently provide excellent results at affordable prices. The Galvez Painting LLC Difference With so many painting companies to choose from in Sisters, Galvez Painting LLC stands out from the rest by consistently completing projects in an efficient manner at fair rates. We use only top quality products and qualified painting crews experienced with helping clients make the most informed decorating and painting decisions. With a team of well-trained and experienced painters, we understand what home and business owners expect from a painting company and we are at the ready to deliver.